ConocoPhillips have a strong legacy in the NT. Construction of Darwin LNG began in 2003, with the plant commissioned in 2006. This was the first LNG project in the Northern Territory and the second in Australia. ConocoPhillips has a 100% residential workforce policy and supports 350 direct jobs in Darwin. ConocoPhillips has a residential workforce policy, providing employment for about 350 local residents across operations at Darwin LNG, the supply base and Woods Street office. Over ~$100MM is spent annually in the Darwin community on wages and local contracts to support ongoing operations. 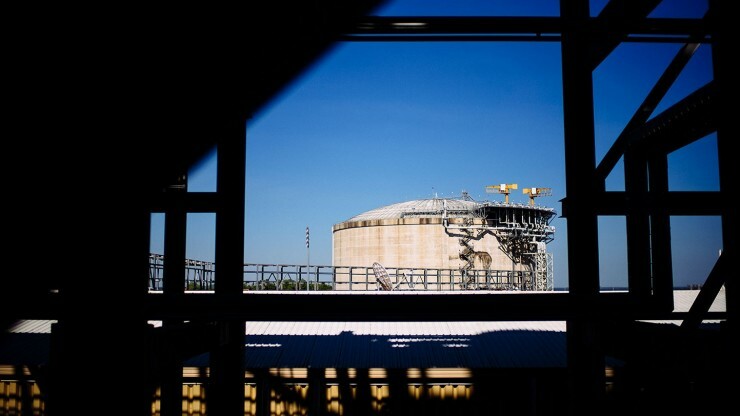 50 percent of Darwin LNG third party contracts are spent with Territory businesses. Darwin LNG is currently in discussion with potential offshore candidates regarding the supply of an alternative source of gas to extend operations of Darwin LNG beyond the end of field life for Bayu-Undan. A decision is expected in 2020. One candidate is ConocoPhillips’ Barossa project. Barossa is a gas and light condensate field located offshore about 300 kilometres north of Darwin, Northern Territory. Read more about the Barossa project. Work will be undertaken at Darwin LNG to prepare the facility for a new gas supply. This will commence at the end of field life for Bayu-Undan in ~2022, and will include minor modifications at Darwin LNG to accommodate changes to the gas specifications and activities to prepare the facility for at least another 25 years of operation. Many of these activities are similar in nature to past Darwin LNG Shutdowns, through which there was strong participation by NT business. This work will run for ~24 months, dependent on end of field life for Bayu-Undan and the development of the offshore project. We are currently undertaking Front End Engineering and Design (FEED), which will better define the scopes of work and expected value. Pre-FEED engineering indicates that the value of these scopes are expected to be in the hundreds of millions. These activities will have workforce requirements and contracting opportunities for local business, which will be defined in the coming months. ConocoPhillips is working with ICN-NT and the NT Government to identify capability within the NT and to maximise opportunities for local contracts. Supplier briefings will be held as part of the invitation to tender phase, to communicate opportunities and facilitate relationships between the local business sector and Tier 1 tenderers. An update will be provided when details are confirmed. If you have any questions in the meantime, please contact Jett Street, External Relations Lead - NT.